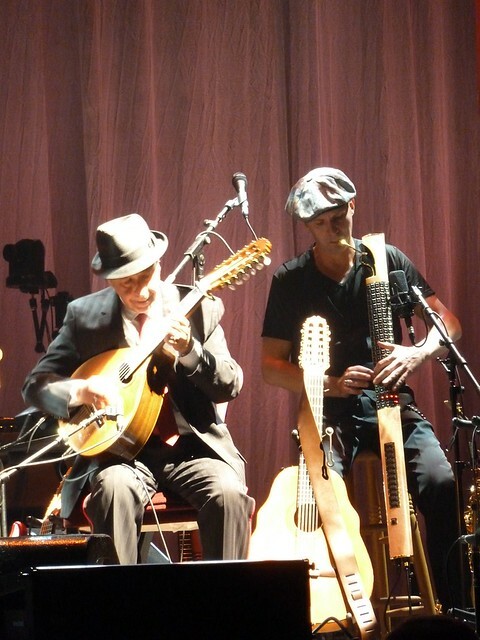 Dino Soldo, Leonard Cohen’s keyboardist and wind player has been spotted playing an Eigenharp Alpha on tour. Here’s a picture of last month’s concert in Zagreb, Croatia. It’s exciting to see established musicians pick up the Eigenharp as it will make it better known to the masses. Tagged with Eigenharp, Instrument, Musician. Might be worth sending an email to Eigenlabs support to see what the possibilities are. Maybe they can give you some alternative options. It seems nobody is sure just how it got that way. The authoritative advice is *do not* bend your breath pipe. So, beware anyone who might be inclined to give this a try. Mike, it seems that Dino has a prototype Alpha that was built before the production models of today. The whole wind system was radically different and not going through the instrument. One consequence of that was that the breath pipe was built in copper and possible to bend with extreme care. From what I hear, that’s sadly not possible with the production model breath pipes.